One regional library is providing free online training to new authors nationwide during National Library Read Me Week. Feb. 20, 2010 - PRLog -- Literacy is up and now is the time for new authors to get those books out there. Unpublished authors from any region are invited to enjoy free online training at http://www.LibraryExpo.com to learn how you can get your book published in time for next year’s Library “Read Me” Week. 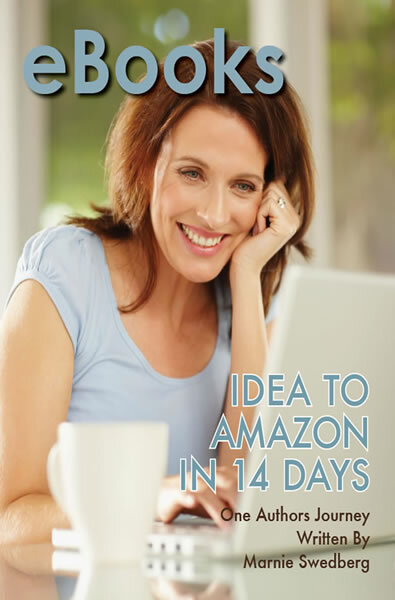 This training is compliments of the Northwest Regional Library and Marnie Swedberg, author of eBooks: Idea to Amazon in 14 Days. There are eight audio clips including instructions on how to write for publication, compile an eBook, find an agent, succeed during a media interview and more. Listen at your leisure, from the comfort of your home at no cost to you during Library Read Me Week, Feb 22-26, 2010. Marnie Swedberg is an author, author trainer, library program producer and online mentor to thought leaders providing fresh ideas, training and online connections for your success. The Spring 2010 Online Author Expo is a result of a contract with the NW Regional Library during which Marnie researched, wrote and taught the concepts contained in "eBooks: Idea to Amazon in 14 Days."